ITC, Google, and CI&T select Greenbell Communications of Kenya to build digital platform in campaign to connect one million women entrepreneurs to markets. WVEF Tech Challenge Winner Catherine Njau of Kenyan company Greenbell Communications. A happy WVEF Tech Challenge winner. WVEF Tech Challenge finalists with representatives from Google Brasil, CI&T, Apex-Brasil and ITC. Happy Tech Challenge finalists and winners with representatives from Google and ITC. 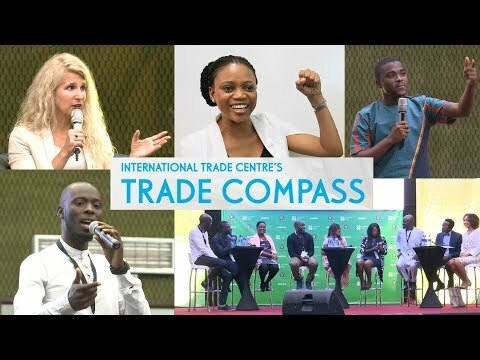 (São Paulo) – Greenbell Communications (GBC) of Kenya has been chosen as the winner of the 2015 WVEF Tech Challenge, a joint initiative between the International Trade Centre (ITC), Google and CI&T. The announcement was made during the closing ceremony at the Women Vendors Exhibition and Forum (WEVF), held in São Paulo, Brazil, in partnership with Apex-Brasil. The winning bid by the GBC team was chosen following the launch of the Tech Challenge in July, which saw more than 300 companies enter the competition. Web and app developers were asked to develop a digital solution that will support an ITC initiative launched on 1 September to connect one million women entrepreneurs to markets by 2020. ‘Winning is ecstatic and I am so happy. And I look forward to working with ITC, Google and CI&T and grow with them. And I am really looking forward to going to Qatar and the new challenges ahead and that the team and I deliver beyond expectation,’ she said. ‘We were amazed and impressed but all the finalists and they are all winners,’ Ms. González said. Ms González also announced that the jury had decided to award a special mention to the Empowerit team. They were chosen to participate in ITC’s Youth and Trade Programme to help them incubate their ideas further and develop their business skills. They were also invited to come to Nairobi, Kenya, for the World Trade Organization’s Ministerial Council in December. The Women on Business team developed a website that allows entrepreneurs to offer their products and services for small and medium-sized companies, as well as for large corporations sizes. Rita Rivera, an entrepreneur with 15 years of experience in the IT sector, led the team. When Rita received the news that she had passed to the second phase of the Tech Challenge, she enlisted the help of a team of developers David Sanche Alban, Katherine, Serrano Gamboa and Aura Herrera Solis to work on the project. ITC is the joint agency of the World Trade Organization and the United Nations. ITC assists small and medium-sized enterprises in developing and transition economies to become more competitive in global markets, thereby contributing to sustainable economic development within the frameworks of the Aid-for-Trade agenda and the Millennium Development Goals.